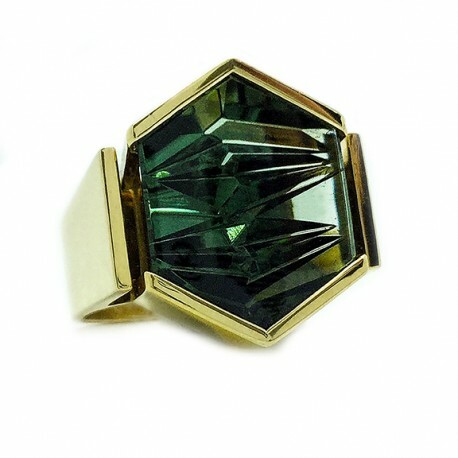 Specialty cut Green Tourmaline by Atelier Munsteiner. 8.74 cts. in bright polish 18K yellow gold.